The immigrant and refugee rights movement faces a critical juncture. This political moment, perhaps more than any other in recent history, threatens the constituencies that we represent. It confronts the aspirational values of our country, enshrined in our founding documents, our democratic institutions, and on our monuments. This juncture brings us a fundamental challenge: to protect immigrants and refugees and to build power with and for their communities, which in turn impacts all our communities. It also presents an opportunity: to build a broader and deeper coalition of support for immigrants and refugees, including through channeling public outcry into solidarity with our movement. "Immigrant integration" strengthens the systems and tools that allow immigrants and refugees to participate in their communities, support their families, and live with dignity. 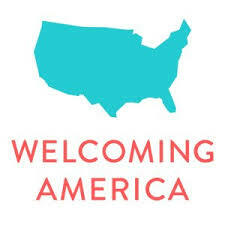 We believe America's success is rooted in our ongoing commitment to welcoming and integrating newcomers. Our democracy is stronger when we love our neighbors. Our culture is vibrant when we celebrate and encourage diversity. Our nation prospers when everyone has the opportunity to succeed. Learn more about the Mission & Vision of this year’s conference.